Small business owners have a lot of hardships they have to face, but one of the biggest problems that plagues them is business fraud, and small business owners are the ones who suffer the most from it. Businesses with less than 1,000 employees can lose an estimated average of $150,000 in a single fraud case. In comparison, larger businesses only average $71,000 per loss. The biggest type of fraud that hits small businesses is definitely check tampering which is also the biggest way people get hurt. The reason for this is that many small businesses typically do not watch for these types of things. Most small businesses do not wish to put the money into putting controls in place that bigger companies may have. Most small businesses don't schedule an annual audit. With an audit there is a system of checks and balances which hinders people's abilities to commit fraud easily. Inventory fraud is another type that hits small businesses hard. A lot of small businesses have inventory being loaded on and off of trucks, but most people don't really pay attention to the people loading and unloading the company's things. Commercial bribery also affects small businesses. If somebody comes into your business often and sees the same employee, they will undoubtedly form a relationship. Your employee could then begin giving the person free things for a split of the profits. However, there are a few key things small business owners can do to protect themselves against fraud. 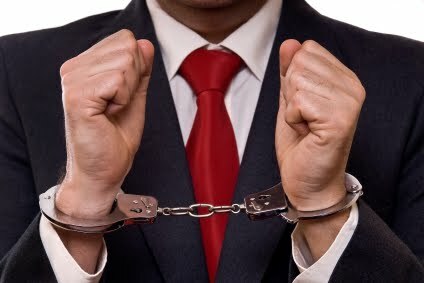 First, get some type of background screening for your employees. Many small business owners won't spend a lot of money screening a loading dock worker or somebody fresh from college, but they should at least do a criminal check if nothing else. Credit checks are also very helpful. It is no surprise that people in today's economy are going through financial woes. But you should know if your employees are. Be sure you aren't hiring somebody who is desperate for money. Your employee's resume is also a good thing to check up on. If they say they went to college or worked for another company, check up on it. Small businesses are a key part to America's economy. Most of them provide invaluable services and give a lot of good people good jobs, but it always seems that the ones out to do good are the ones that get burned the most. So please, be careful if you are an owner of a small business. Do what is necessary to ensure you aren't getting ripped off by some type of fraud. Looking for a Kiosk Rental for your next event? If so, then call Rentacomputer.com at 800-736-8772 to get your Kiosk Rental today. Separation of duties, where as the person who invoices doesn't take do the cash receipts, etc. As far as business model, a Partnership or LLC permits any partner/member access to the checking account. This means any participant can write a check. So What Does Obama Care Mean for Small Business? Travel theme. Theme images by jangeltun. Powered by Blogger.